Celebrating Special Days, Friends, and BC Family! Good morning Bakersfield. It is Saturday, March 3rd…. on a long flight this morning to chair an accreditation site visit …. Where do I begin? With Nan of course! Celebrating her retirement with Nan …. not really retiring, or at least not completely – I see her continuing her service to BC and KCCD… just wondering what that next role will be? “Be the first one to arrive and the last one to leave. I never did figure out that first one, but I’ve got that last one down pat.” Anyone that’s been at BC for any length of time will tell you that, evening after evening, a few vehicles would remain in those expansive (and soon to be resurfaced) parking lots. Nan Gomez-Heitzeberg’s was always one. The Bakersfield College that you see, read about, and experience today, would not be the same Bakersfield College without her graceful touch and bold leadership. Many of the changes and things you see around you, from the colors of countless BC publications to securing Measure J funds, were expertly transformed by what must have been her magic wand or sparkling fairy dust. Or maybe it was just years of wisdom, a knack for instinctual transcendence, and many, many evenings of a lone vehicle in that parking lot while work was being perfected here on campus. Nan said, “You guys!” And I think her face says it all! From there we, we prepared a (nearly) all vegetarian lunch in A5, just how Nan likes it. There was falafel, Liz Rozell’s fruit salad, Flame-N-Skewers’ hummus, and this delicious treat Chef Sabella calls a Vegetarian Napoleon. Being surrounded by friends and her work family really brought a unique radiance, even for Nan. But with that the afternoon was far from over. Nan requested a flash mob… so you remember her wand? See more photos from the afternoon at BC’s Smugmug. We also celebrated the promotions of Liz Rozell, new Interim Vice President of Instruction, and Jason Dixon, who will be taking Liz’s place as the dean in charge of the Engineering and Industrial Technology and Business Management and Information Technology departments. Liz has been an ambitious leader for her department, which oversaw the implementation of our Baccalaureate Degree in Industrial Automation during her tenure. Her effervescent personality and inspirational words of guidance brought the best out of everyone on her team, and BC has been lucky to have her, but I’m confident that Jason will be able to fill her shoes and continue the tradition of excellence that Liz has created over at Engineering and Industrial Technology. Mary Webb and the Industrial Tech department hosted a dinner for Liz and Jason’s respective promotions, and Liz passed a literal torch to Jason after Mary said a few words congratulating them both. Moments like this reminds me why I’m the luckiest and happiest college president ever. The 10th Annual Sterling Silver Dinner was held on campus on February 24th. The library was a beautiful setting for the 200 guests that attended to mix and mingle during the reception, while enjoying hors d’oeuvres. The Jones Art Gallery was open for the evening with a collection of student art on display for guests to view. The Archives Department expertly curated a variety of artifacts from BC’s past for attendees to enjoy. It was great to see friends, supporters of BC, and our Trustees Romeo Agbalog and Bill Thomas at the event. The Bakersfield College Drumline did a fabulous job of calling guests to make their way to the gorgeous tented dining area. The focus of the evening was to celebrate three benefactors of Bakersfield College and Nick James – KGET Sports Reporter, served as emcee for the evening. Marko B. and Theo Zaninovich were honored as the Outstanding Individual Philanthropists of the year and they shared the importance of education and the reasons they support BC. Kern Schools Federal Credit Union received recognition as the Outstanding Corporate Philanthropist, and Steve Renock – President/CEO of KSFCU, spoke to the long history of partnership between Kern Schools and BC. The BC Foundation honored Kenneth M. Byrum with the inaugural Bakersfield College Foundation Service Medal. Ken has been on the Foundation board since its inception in 1975 and continues to serve and support Bakersfield College. The Byrum family came in full support for the evening with members coming to town from coast to coast. Thank you all who were generous in sponsoring the 2018 Sterling Silver which was a sold out event. Thank you Mayor Karen Goh, Cathy Abernathy, Jay Rosenlieb, Mary Jo Pasek and Tom Pasek. With the fabulous Monty Byrom who traveled back from Fresno just to support Dr. Jen Garrett and our BC choir for their trip to Australia. So happy to be standing by this talented man. Love having Mayor Goh at these events. Here we are with three of the awardees for the evening – Ken Byrum and Marco and Theo Zaninovich. The expertly prepared four=course meal and wine pairings were a highlight of the evening. I must say that I tend to avoid desert most evenings, but the desert at Sterling Silver was to die for. Stars of local cuisine such as Chef Thomas Chairez of Bakersfield Country Club, Chef Eric Sabella of Bakersfield College, Chef John Pilling of Trilogy Resort, and Chef Stephanie Caughell-Fisher of Gimmee Some Sugar worked together to plan the evening’s menu, and guests were treated to a delicious feast. See all the photos by April Massirio at BC’s Smugmug. If you have not bought your tickets yet for this event, do so now. Monty Byrom, Lydia Ranger, BC Chamber singers all in one evening — March 10th at 7:30 p.m. Tickets are $100 each. Email me now please or call the BC Foundation or purchase tickets directly from the Music Hall of Fame. Tarina Perry was out this Sunday helping Kyle Carter and Lydia Ranger sell tickets to the March 10th concert at churches. Thank you Trustee Kyle Carter for all your support of this event! “Staying Connected to Preserve Our Heritage” was the theme of this year’s Black History Parade in downtown Bakersfield. Bakersfield College was proud to participate and march in the parade last weekend. Great to see BC’s Cheer Team with Heather Foss and the Drumline with Tim Heasley. Staff brought out their children and students. Here is Endee Grijalva with her daughter Ava and Prof. Ish Kimbrough with his daughter. Love this selfie with Kimbrough’s two students Destiny and Michael. BC’s Drumline performed at the parade and even took home first place trophy! Congratulations!!!! See all the pictures at BC’s Smugmug. Last Sunday, familiar faces gathered at St. Peter Restoration Community Christian Ministries for a morning of prayer, worship, connecting, and honoring one another. Part of the day was to Honor Dr. Horace Mitchell for all that he’s done for our community. The Master and Mistress of Ceremony were Steve and Kimberly Watkin. It was a beautiful celebration, with so many friends and supporters of education and BC in our community. Among the friendly faces, I saw Chief Lyle Martin, Brenda Lewis, Ramon Hendrix, Ronda Williams, Dee Slade, and more. Dee shared with me information about icanaffordcollege.com which is a campaign by California Community Colleges to make sure Californians know how affordable community colleges can be. Dee was a true supporter of Measure J and she is a true supporter of local community colleges. What a gem for our community. BC students and faculty got the opportunity to hear CSUB President Dr. Horace Mitchell reflect on his 50-year career in higher education in the Fireside Room on Tuesday, and to ask him a few questions before he retires in June. The African-American Initiatives group invited Dr. Mitchell as the last speaker for our Black History Month programming in February, and he talked extensively about how he worked to create safe spaces and a welcoming atmosphere for minority students throughout his career as a university administrator, which included stints at UC Irvine and UC Berkeley before he became the first black president of CSUB, a position which he’s held for the last 14 years. Dr. Mitchell has had the opportunity to shatter many barriers in academia. While studying his Ph.D. In Counseling Psychology at Washington University in St. Louis, Mitchell got his first job in college administration when he was selected to be the associate dean of arts and sciences. During that time, Dr. Mitchell recognized the advantage he had over his peers in understanding the needs that are specific to students of color, and in academia, he saw the ways that traditional psychological studies of the time were blind to structural biases facing people of color. He was persistent in his advocacy for university policies that reduce the difficulties students of color face while promoting more diverse hiring of faculty to reflect the diversity of the student body. Dr. Mitchell went on to become the first African-American vice chancellor and the first non-physician to become a dean of medicine at UC Irvine on his path to becoming the Vice Chancellor of Business and Administrative Services at UC Berkeley. Despite working in the administration at one of the most prestigious universities in the country, Dr. Mitchell was excited to take the president’s job at CSUB because he recognized the opportunity he had to transform the community here and expand CSUB’s diversity outreach. During Dr. Mitchell’s tenure, CSUB has reformed general education requirements, expanded to Division I athletics, added programs in engineering and agriculture business and a doctoral degree in educational leadership in response to the community’s needs. He’s also expanded partnerships with industry leaders, the Kern High School District, and with BC, helping us add CSUB counselors at the Panorama campus to assist our Renegades in smoothly transferring to become Roadrunners. During the Q&A session with students, Dr. Mitchell stressed the importance of following the Associate Degree for Transfer programs closely in order to successfully transfer and graduate with a baccalaureate degree in four years. “Look at what you need, be clear about what you need to do, and stay focused,” Dr. Mitchell said. Thank you, Dr. Mitchell for sharing your time with BC’s students. More photos are available at BC’s Smugmug. March is Women’s History Month and Bakersfield College Women’s History and More (WHAM) committee is hosting numerous events. Anita Hill will be lecturing on Reimagining Equality: Inclusive Communities in Post-Obama America on Thursday next week. We will also be showing the film Dolores: Rebel. Activist. Feminist. Mother. followed by discussion with Delores Huerta and some of her adult children on Monday, 3/12. Later in March, there will be a Frida Kahlo painting event and Dr. Lydia Otero will discuss her work as part of our Distinguished Speakers Series. During all of March, Grace Van Dyke Bird Library will feature the display Local & Widespread Female Activism on the main floor with various titles from the library that focus on female actives in California and specifically in Kern County, prepared by Faith Bradham, Reference Librarian. You can see all of the details for the events on BC’s Women’s History Month. I would like to thank all of the faculty and staff involved in organizing and holding these events on campus including: Erin Miller, Olivia Garcia, Tina Mendoza, Jessica Flores, Faith Gradham, all of the members of WHAM, Nicky Damania, and Jack Hernandez. I was at the District for the accreditation subcommittee meeting and popped in to check out Cindy’s new digs. Though we miss her, she’s not far away. Cindy Collier in her new space at the District Office. “Twenty-five years ago my love of painting led me to leave architecture, my chosen profession, to focus on architectural illustration. That proved to be a rewarding decision as I was able to blend my love of painting with my interest in architecture. Thank you to Reyna Harvey @ReynaHarveyB, weekend anchor at KBAK for this tweet! Laura Bush was at the Kern County Fairgrounds last Tuesday in support of the Boys and Girls Club of Kern County. She discussed the importance of literacy and education in advancing opportunities for America’s youth, and in fostering healthy families and communities. I was fortunate to be Jean Fuller‘s guest for this lovely dinner event. See the article “Boys & Girls Clubs of Kern County welcome Laura Bush to Bakersfield” on 23ABC. On Monday morning, some of our counselors got the opportunity to learn about a program that teaches students how to prepare for the career of their dreams. Dr. Lauren A. Wintermeyer Ramirez, a counselor at Ventura College, broke down the components of “Get Focused…Stay Focused!”, an initiative she co-founded to teach high school students and college freshman about how to choose the right career based on their interests, and how to develop the financial literacy, education and job skills necessary to reach that career. 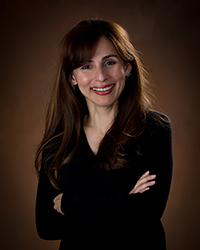 After working closely with English language learners as a high school teacher, Wintermeyer Ramirez was inspired to create “Get Focused…Stay Focused!” when she realized that many of her students were picking their college of choice without thinking about the career opportunities that college could provide. Using guided pathways as a framework, Wintermeyer Ramirez helped develop a course dedicated to career and financial literacy that could be offered during each year of high school for college credit, or as a 3-unit course for college freshmen that would be transferrable to a CSU or UC. The first part of “Get Focused…Stay Focused!” involves pinpointing three potential careers that each student would be interested in, which involves a series of budget and financial planning exercises to help students identify a career that could support their lifestyle, as well as psychoanalytic frameworks such as Maslow’s Hierarchy of Needs or Myers-Briggs Personality Types to clarify students’ strengths. The financial planning portion of “Get Focused…Stay Focused!” is the largest and most eye-opening part of the curriculum, Wintermeyer Ramirez explained, since many young people have never lived on their own and often aren’t familiar with the basic costs of living. Once students have the three careers that they’re interested in, Wintermeyer Ramirez has each student visit the Career Center at her college. She then assigns students with contacting someone in the community with one of those careers for job shadowing, in which the student follows that person around for a day to learn the ins and outs of their career. These job shadow assignments have led to internships and job opportunities for several of Wintermeyer Ramirez’s students, she said. Letty Garza (left), the Curriculum and Technical Support Advisor for Academic Innovations, LLC, goes over the workbook for the course created by the “Get Focused…Stay Focused!” initiative with BC counselor Marisa Marquez. By the end of the course, each student in “Get Focused…Stay Focused!” picks one career and creates a ten-year plan outlining how they’ll reach and sustain their goals. They’re able to plan out what classes they’ll need to take in each semester of college, and other skills they’ll need to develop to impress their future employers. Students can give their ten-year plans to counselors and educational advisors at the end of the course, and examining the aggregate data gathered by students’ ten-year plans can help institutions make decisions about developing new programs of study that match up with their student population’s interests and community needs. “Get Focused…Stay Focused!” is primarily integral for the first two pillars of guided pathways—helping to clarify the best educational pathway for each student and giving them the information they need to enter that path with the right college courses—but the ten-year plans also give students the motivation they need to stay on the path and do the work required of them to ensure learning. Dr. Davis Jenkins, a senior scholar with the Community College Research Center who wrote the book on guided pathways, is currently looking at “Get Focused…Stay Focused!” as a case study, Wintermeyer Ramirez said. I’d like to thank Dr. Wintermeyer Ramirez—as well as Curriculum and Technical Support Advisor Letty Garza from Academic Innovations, LLC—for taking the time to teach our counselors about this important program. We’re looking into how we can incorporate elements of this program into our curriculum, and we hope that something similar can be enacted at the high-school level along with our multiple measures and dual enrollment partnerships. Thank you David Villarino for your leadership in pulling together this consortium of colleges and universities. You have been always been committed to providing opportunity and family-wage jobs for the most under-served populations. Dr. Horace Mitchell, President CSUB, Liz Rozell, VP Instruction BC, and Dr. Sean Hancock, President of Palo Verde. The number of students successfully completing the matriculation steps has increased over the past couple of years. Specifically, the follow-up services have doubled from 30 to 60 percent since the 2014-2015 Academic Year. Bakersfield College has documented a 34.4 percent growth rate in the last five years. The number of students successfully completing an associate’s degree has increased by 450 in the last six years. The number of students successfully completing a certificate has increased by 476 in the last six years. In addition, Grace and Maria hosted plenary sessions on the development of early steps and the importance of incorporating the student voice through Guided Pathway efforts. Beat Goes On at BC! BC’s Music department was highlighted by Susan Scaffidi in The Bakersfield Californian. See the online article here. On Monday, we had our first of two all campus budget forums for 2018. Teresa McAllister, Budget Committee Faculty Co-Chair kicked off the informative session. Other speakers included myself, Don Chrusciel, VP of Finance and Administrative Services, and Steven Holmes, President of Academic Senate. The purpose of these biannual all campus forums is to give a high-level status report. This second forum is coming up within the following months. Thank you to Somaly Boles for coordinating the event. On Friday, College Council met to address college-wide issues through a collaborative, integrative approach, promoting greater communication that is accessible to the college campus at large, and to facilitate timely and effective decision-making efforts. The fantastic Lesley Bond presented on Guided Pathways and the Innovation Award Proposals. Special guests on campus Friday were members of this years KCCD Leadership Academy. The day started with a welcome to our guests by KCCD Vice Chancellor, John Means. An overview of the BC campuses, centers, and our programs was given by Deans of Instruction, Rich McCrow and Corny Rodriguez. The next activity was an overview of the Program Mapper led by Jennifer Johnson and Mark Osea. Other activities included learning about BC’s Baccalaureate Program, Industrial Automation led by Manny Fernandez, Guided Pathways by Lesley Bonds, and Dual Enrollment by Anna Laven, Corny Rodriguez, and Cindy Collier, Strong Workforce by Anthony Cordova, and last but not least, a facilities update by Bill Potter. The Kern Community College District is committed to supporting professional development that informs employees’ leadership abilities. Hence, the Kern Community College District Leadership Academy works to develop classified, faculty and management employees to prepare for leadership roles at every level of the organization. Through experiential learning opportunities in day-long workshops from September through April each school year, the KCCD Leadership Academy offers employees the opportunity to interact with district executives, KCCD trustees, state-level education leaders and others. Participants generate a greater understanding of our geographically expansive district and build cross-district relationships with co-workers. The program includes workshops held at each of our college campuses, conference travel, and team projects that address goals identified in the KCCD Strategic Plan. .
A full campus tour by cart was offered, thanks to our drivers, Chris Glaser and Wendy Lawson. On Thursday, Eric Garcia spoke at BC’s Ag Advisory. Eric is Advisory Chair, works at Discoll, and is a Bakersfield College Alum.